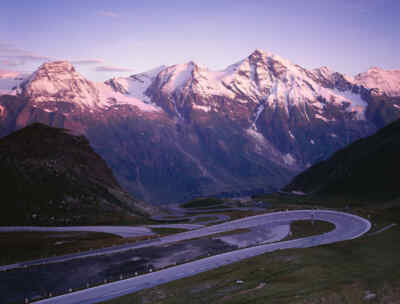 Without a doubt, the Grossglockner High Alpine Road is among Europe’s most sensational panoramic roads. 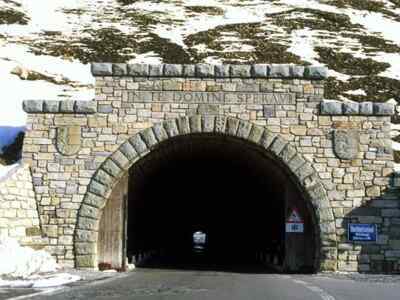 The mountain road leads into the heart of the High Tauern National Park with its 48 km of streets and 36 turns nestling against the mountain, following the natural course of the terrain and helping visitors to experience the great high alpine scenery at first hand. But that’s not all! Museums, nature and panoramic trails, unique exhibitions, information points, playgrounds and grand waterfalls are waiting for you at twelve select spots. Come with us and discover the world of the golden eagle and the marmots! The twelve adventure worlds begin at the approach from the direction of Salzburg. 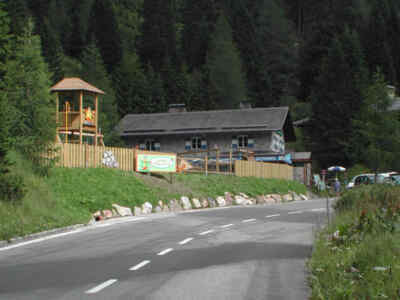 If you start your mountain pass journey from Heiligenblut in Carinthia, adventure world 1 will be your final stage. Learn interesting facts about the glacier, the Rotmoos and the altitudinal vegetation stages. 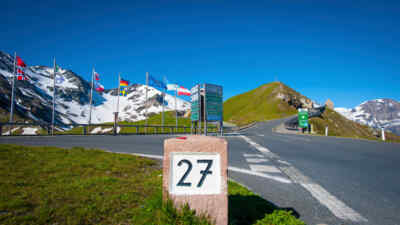 Driving onto the Grossglockner allows you to cross as many vegetation stages as during a drive from Salzburg to Spitsbergen. The modern museum dedicated to ecology in the high mountains, the Murmi show and the changing exhibitions shouldn’t be missed! Stretch your legs on the plant nature path “Welt der Flechten im Hochgebirge” (Eng. “World of Lichen in the High Mountains”) before driving on. Open-air installation "Salzburg's Tallest - Moutain Jorneys"
A short access road (attention: not suitable for buses!) 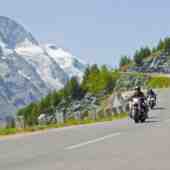 leads to the highest viewpoint of the Grossglockner High Alpine Road. 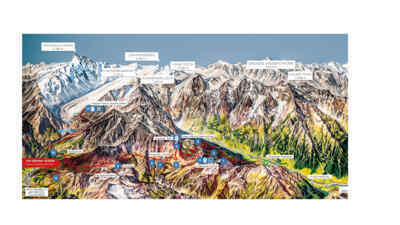 Enjoy the panoramic view of more than thirty 3,000 metre peaks. 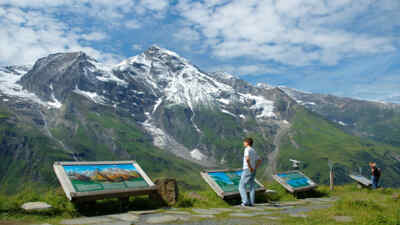 Coming from the direction of Salzburg, the Fuscher Törl affords the first view of the Grossglockner. The view terrace is home to the most beautiful photo point of the north side. 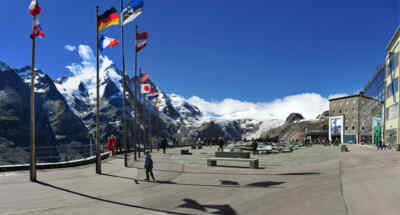 Visit the memorial site for the workers who died during the construction of the Grossglockner Road too. Golden eagles and vultures are the largest birds of Alps. With a little bit of luck, you might get to watch the imposing birds of prey during their majestic flight. Informative boards give you a closer insight into the lives of these “kings of the air”. The picturesque spot at the small lake (round tour: ten-minute walk) is home to an original road maintenance workers’ booth that houses the exhibition “Bau der Strasse” (Eng. “Construction of the Road”. There’s also a playground and the Mankei-Wirt inn, whose keeper looks after marmots. 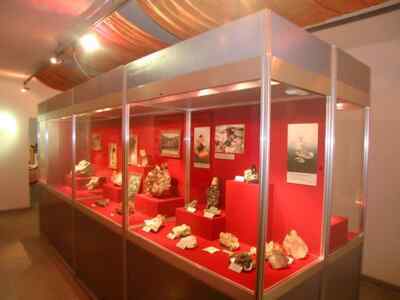 This stage allows you to review what you learned at the Haus Alpine nature exhibition. It’s worth nothing that this part of the road follows an ancient Roman and Celtic path that was also used by sumpters over the course of several centuries. 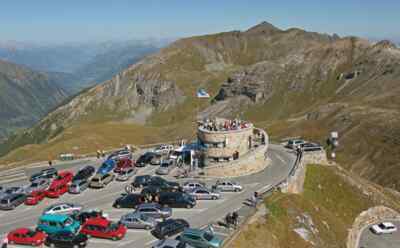 Pause for a moment at the apex of the Grossglockner High Alpine Road and visit the grand exhibition Passheiligtum Hochtor (Eng. “Hochtor Pass Sanctuary”) with the famous bronze statues of Hercules and the educational hiking trail Kelten-, Säumer- und Römerweg (Eng. “Celt, sumpter and Roman trail” (walking time 30 minutes). The botanic round hiking trail Wunderwelt Glocknerwiesen (Eng. “Magic World of Glockner Meadows”) (walking time 10 minutes) and a nature exhibition invite you to discover the Glockner nature and wildlife. A themed playground also conveys interesting topics to younger guests. 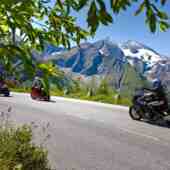 Enjoy the unique view of the Grossglockner, Johannisberg and Pasterze! 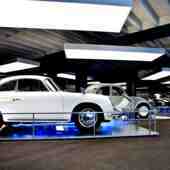 Explore the visitors’ centre with special and art exhibitions, Glockner cinema, panorama room and Swarovski look-out. 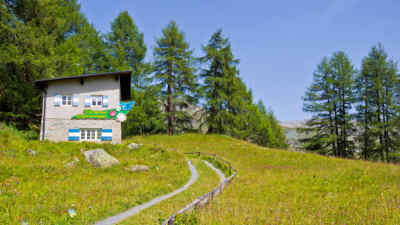 Tip: Gamsgrubenweg panoramic paths (free daily tours with a National Park ranger!! 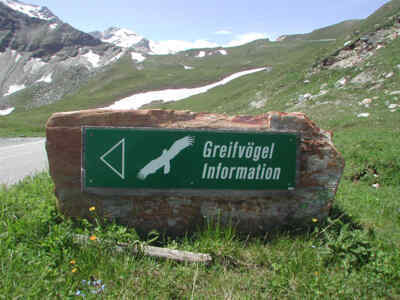 ), Kaisersteinweg and Gletscherweg (alpine trail). Learn interesting facts about the natural and cultural landscape of the Oberes Mölltal before arriving in Heiligenblut, where you need to visit the late Gothic church with its breathtakingly beautiful altar by Michael Pacher. You’d like to visit the twelve adventure worlds soon? 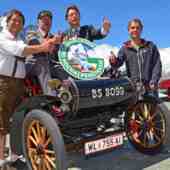 Great, then find out more about the prices and opening hours of the Grossglockner High Alpine Road now!